Wondering which health supplements you should be purchasing? There’s no question that getting a proper diet in line is going to be one of the most important things that you must do if you want to have success with your workout program. Diet and workouts really do go hand in hand for creating that body transformation that you’re looking for. But, once you have the diet and workouts in line, then the next step is considering the health supplements that can help you take your progress up a notch. By using these, you’ll recover faster, promote better health, and help to reach your nutritional goals. Let’s take a look at the top health supplements for women that you should consider. The very first of the health supplements that would definitely be a good addition to your program is protein powder. For many women, getting sufficient protein in each day proves to be quite a struggle, but if you really want to see top-notch benefits from each training session you do, it’s going to be a must. Whether you don’t meet your needs because you simply don’t like the taste of protein rich foods or you don’t have time to prepare them, protein powder will solve those problems instantly. With all the different flavors on the market to choose from you’ll be hard-pressed not to find one you enjoy and all it takes is all of 30 seconds to mix it with some water or milk to create a high-protein shake. The next best health supplement for women that should also be considered is fish oil. Fish oil is a very good source of essential fatty acids, which are going to be a must to be taking in daily to promote good health. Not only do essential fatty acids help to prevent against disease, but they’re also going to help keep your body looking leaner and you having constant energy throughout the day. Most women aren’t eating enough essential fatty acids in their diet each day from sources such as fatty fish, walnuts, or flaxseeds, so taking 2-4 grams of fish oil per day makes it easy. Another must-have of the health supplements for women is a good multi-vitamin that is especially a great source of iron and calcium. Women are notoriously low in iron and calcium with their diet intakes as foods that are rich in this nutrient – dairy products and red meat often get cut out. By supplementing with a good multi-vitamin, you can put your mind at ease that you are taking in sufficient levels of these minerals as well as all the other vitamins that your body needs. When on a calorie reduced diet for fat loss the chances you do become deficient are a lot higher, so the multi-vitamin will act as your back-up reassurance. Finally, the last health supplement women should consider is glutamine. Glutamine is actually a specific amino acid that can be taken that plays a very key role in the immune system and response so by adding this to your diet each day, you can make sure that you’re recovering as quickly as possible after those hard workout sessions. While most average people get enough glutamine each day with the foods they’re eating, as soon as you apply the training stress of those intense workouts, you’re going to deplete this natural glutamine extremely quickly. In these situations having that outside supplement coming in will be very noticeable and will really help you along. So there you have the top health supplements for women that you must consider. Are you currently missing out on any of these? Learn which supplements are the best for specific fitness goals and those which are basically throwing your money away. 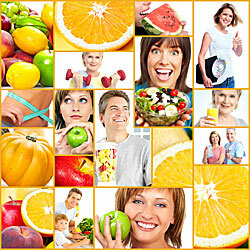 Learn the basic nutrition behind any diet that is going to help you lose fat. More information which narrows down the huge number of dietary supplements on the market to the chosen few which you should be putting in your body on a daily basis.